The Chugach Mountains, near Anchorage. Alaska is home to no fewer than 39 mountain ranges. 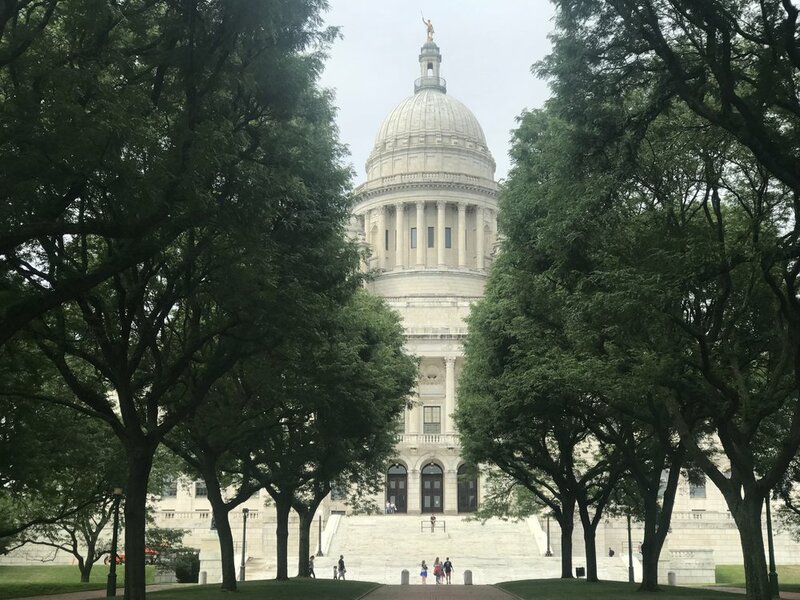 The Rhode Island state capitol in Providence. Identifying a problem is easier than fixing it, but there are some proposals being floated. In California, there are growing calls to divide the state into three or more parts. Democrats have suggested evening the scales by awarding statehood to Puerto Rico and the District of Columbia. Both ideas would be hard to pull off. Only one state has ever been split, and that was during the Civil War, when 41 Virginia counties, opposed to their state’s secession, broke off to form West Virginia. As for admitting new states, that’s always been a political process, with partisans fighting any new entry that might give an advantage to their opponents.